A little while ago, I received a care package from skincare brand Palmer's Cocoa Butter Formula. They've been releasing a few products here and there, so I was pretty excited to get the opportunity to try some of their new stuff out! I was sent four new products to trial for you! I'll go through each product one by one for an in-depth review. 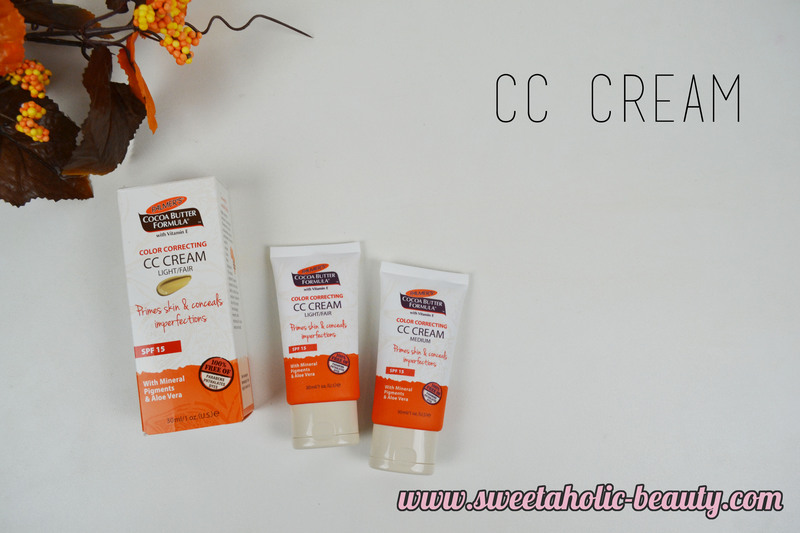 I was so hesitant to try the CC cream (I always seem to be hesitant about these things) as I was sure my skin would react. I was given two shades to try out, the Light and the Medium. I found there was not a huge difference between the shades once applied to my skin. Being that they are CC creams, I was not expecting a lot of coverage, and I was right in thinking that. This gives a light, barely there coverage. But, once I was playing around with how I could incorporate this into my routine, I tried it as a sort of primer/concealer before applying my foundation. I was surprised at how nice my makeup looked at the end of the day, so this really does help prep the skin for foundation! 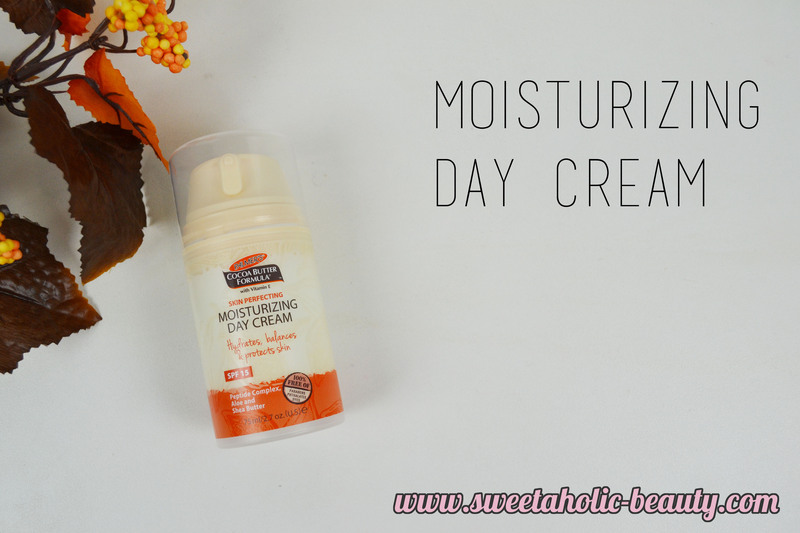 I've been using this day cream non-stop since I received it, and I've been loving it. Not only does it already contain SPF15+ it's designed to help balance your skin out. I've found that since using it, my skin has been looking nice and fresh and I'm getting a lot less breakouts. This one is very light on the skin and absorbs very quickly, too. This is definitely my favourite out of the entire range of products. Not only does it smell a bit like the original Palmer's Cocoa Butter (read: delicious) it also feels amazing on the skin. It's a very natural, scrubby exfoliator. The "beads" are not all one size, they're almost as though you've gone to a bit of a rocky sandy beach and just scooped up a handful of that. 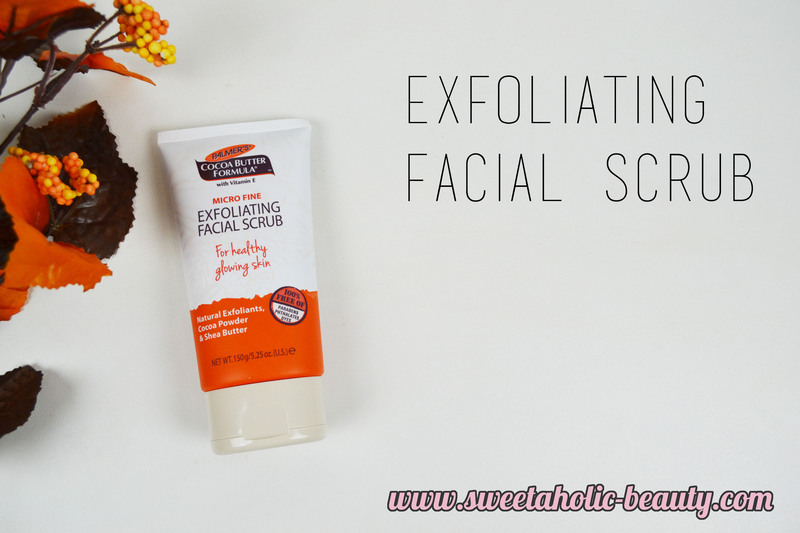 This scrub makes my skin feel super clean and refreshed, and I'll definitely be investing in this one again! I wasn't sure what to expect with these ones - were they going to smell like cocoa? But no, sadly, they don't really have much of a scent. These are lovely in that they remove most of my makeup without a problem. They did have a tendency to be a bit more on the wet side than usual, but that all comes down to personal preference. 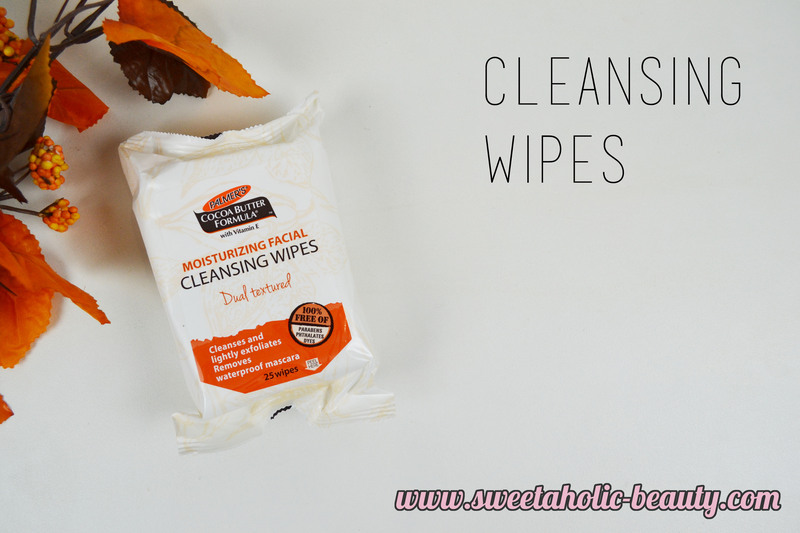 I liked these, especially that they were free of nasties, which you so rarely see advertised on makeup removing wipes. After using these, my skin did feel clean and not oily or wet at all, so they were definitely something I would use again. Needless to say, I'm fairly impressed with the new products from Palmer's that I received. As I said before, I was really impressed with the scrub and have to say that was definitely my favourite of all the products. 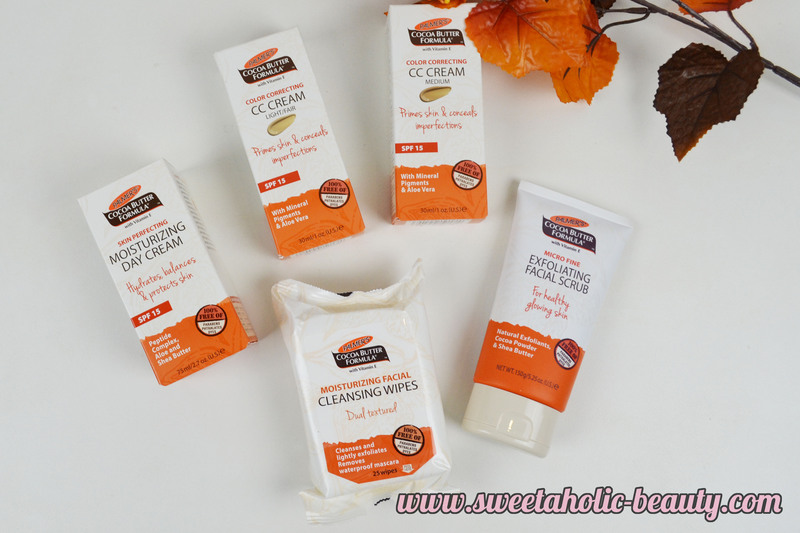 Have you tried any products from Palmer's Cocoa Butter Formula before? If so, what are your favourites? Have you tried any of these particular products - which ones worked for you? Palmer's is a brand I've never really tried out, but I've always heard pretty good things about their products. The day cream and scrub sound lovely! 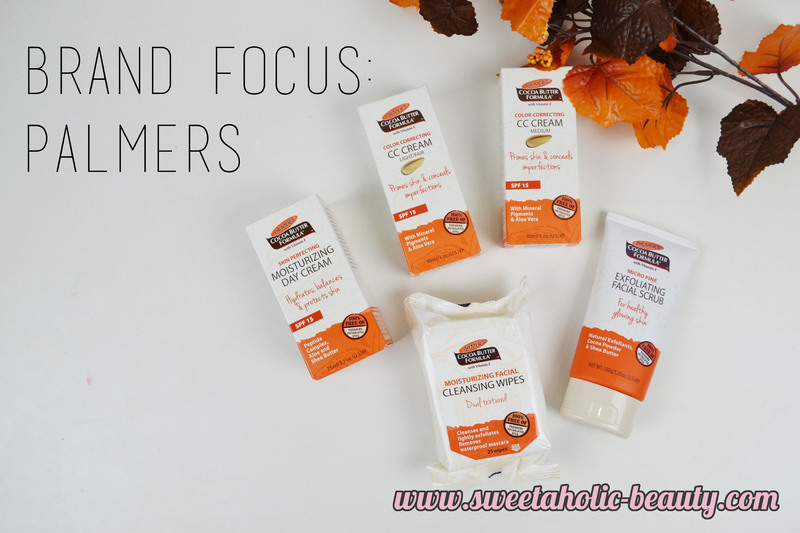 I've always got something from Palmer's in my skincare lineup because the products are so reliable - I'll have to look at these new releases! I absolutely love their mask! It's one of my favourites, so I was so happy to try out more! If you try any from this new range, let me know what you think! Ooooooh! I really like the sound of this range! That day cream seems like a great one!